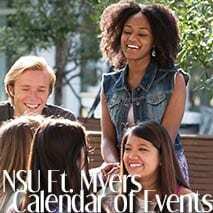 As an NSU student, you may have already enjoyed the benefits of our partnership with the Miami Dolphins at a Fins Football tailgate or home game. Now you can hear straight from the professional staff and executive members who help make the team a success! You’re invited to attend the 2018 Careers in Sports Lecture Series, co-hosted by NSU and the Miami Dolphins. Each lecture features a panel of Miami Dolphins and NSU experts who specialize in athletics, fitness and performance, athletic team management, training, and sports marketing. Discuss external communications of professional and collegiate sports – including managing communications, crisis planning, publicity, community relations and youth programs. Learn and discuss how the Miami Dolphins and NSU train and prepare their elite athletes. Learn about the behind the scenes world of football and collegiate operations from leaders in salary cap and contracts, equipment, planning, and player engagement. Wednesday, April 11 | 5:00 –6:30 p.m. | Don Taft University Center Club Room Learn from Learn from Miami Dolphins’ executives and NSU Athletics as they discuss digital media, creative and marketing in a social age. 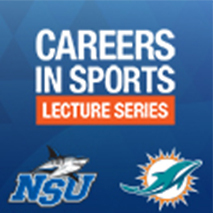 The Careers in Sports Lecture Series is free and open exclusively to NSU students. 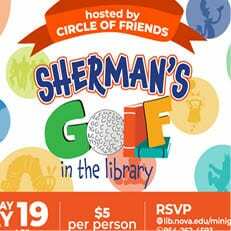 Seating is limited, and RSVPs are required. Click here to reserve your seat at one or more of the 2018 lectures. 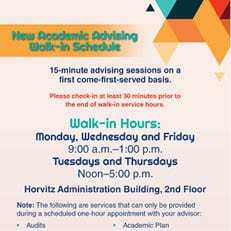 Need Tutoring in a Science?